Win this app October 25th, 2015! Everyday Skills provides direction to adults with Autism and other special needs so that they can successfully navigate their surroundings. It supports independent living and a better understanding of the community. It can be hard for adults or teens with Autism to understand new places and how to act appropriately in those settings. 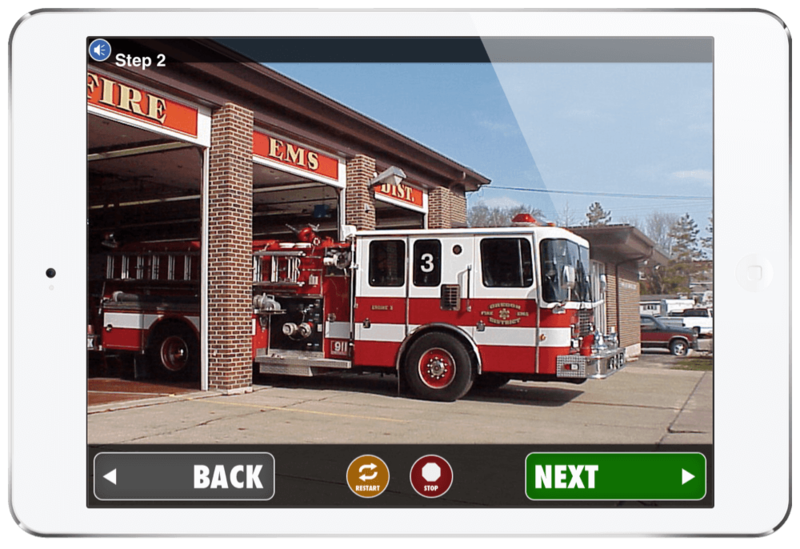 By accessing this app, the user will have picture stories that step them through everyday tasks. Some also may suffer from Anxiety and so this app can help ease that and prepare them for what is coming next. 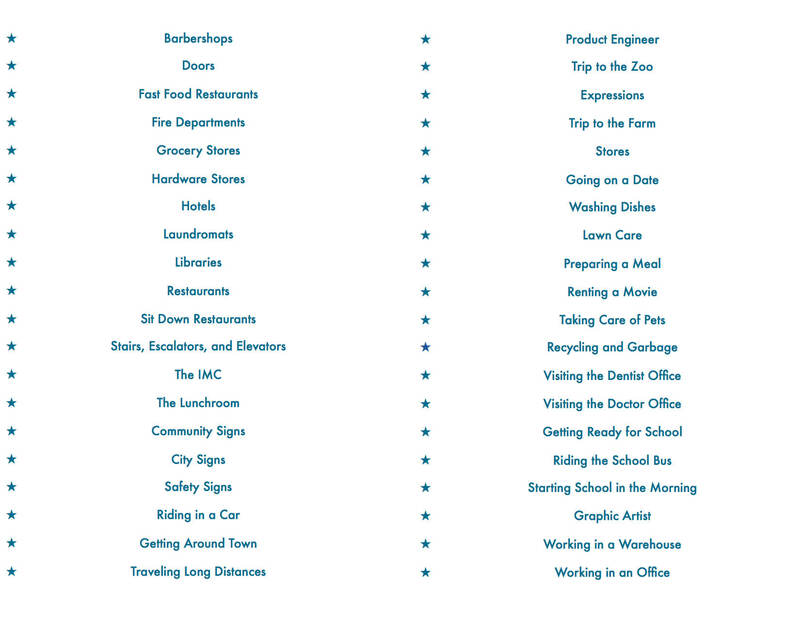 The 40 relevant topics have pictures and audio included to make it easy. 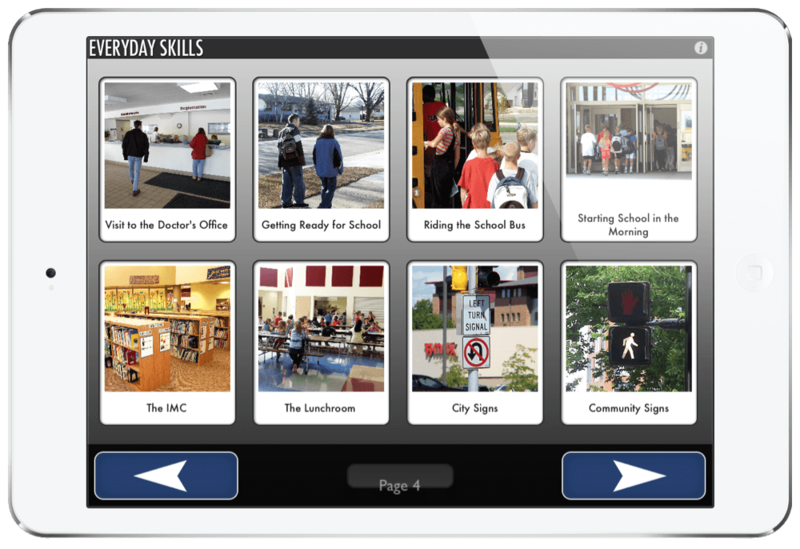 Everyday Skills was created by AbleLink Technologies. They focus on creating research-based cognitive support technologies that can better help those that struggle with cognitive delays or impairments. Their research is quite impressive and you should read a little more into how they got their start as well as their 115 year old Victorian home in Colorado. When you enter the app, you will see the list of topics right away. The person using the app can choose from any of the topics to begin. There is no settings menu or further options. This app is basic in its design and streamlined in how it supports the user. You will also find no ads, or external links which eliminates distractions. Once the user of the app has chosen a lesson, they will need to click on it twice. It will bring them to the starting page and they will choose the green “Start” button to begin. I was very impressed with the stories and steps broken down in each of the lessons. During the story, you can stop or restart at anytime by clicking the red or yellow icon at the bottom of the screen. You can also turn the audio on or off in the top right hand corner. The lessons play out like a social story. They explain a situation or place through smaller steps. The steps are thorough and give clear directions. Depending on the functioning level of the adult, using this app may be confusing at first. I would always recommend a parent, caregiver, or teacher helping introduce the app at first. This is a very easy app to understand but it helps with the small changes. For example, to listen to a certain learning lesson, you have to click twice on that topic icon. It doesn’t give you more than one prompt to remind you of that and may confuse some. Most of the topics were incredibly relevant and helpful. There are a few that are outdated however and should be changed a little. Most movie rental stores are now out of business. Redbox, Netflix, and other systems have taken their place. It would be helpful to change that topic story. I would definitely recommend this app to all adults with special needs that are transitioning into a more independent living situation. I would further recommend it to children and teens that are trying to learn independent living skills or ease some social anxiety around their community. I was impressed with the amount of stories that are available within the app. 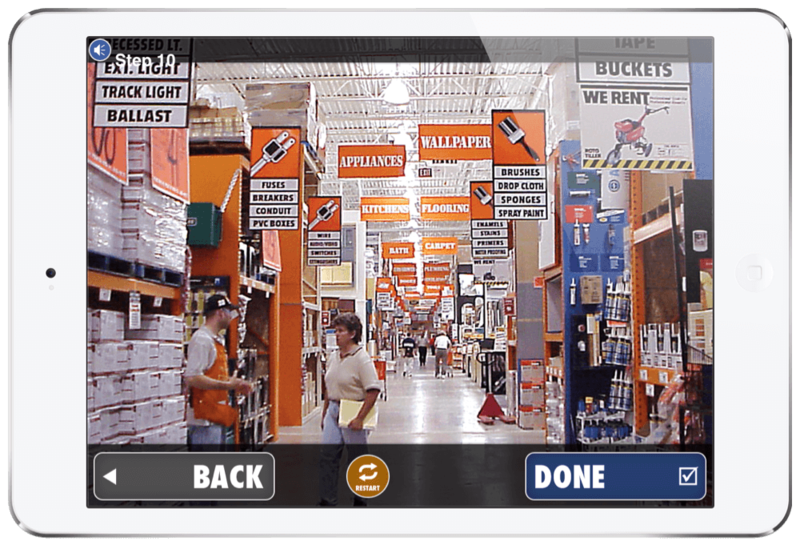 I also like that there are no distractions within the app and so the focus will be on learning. I would recommend a few changes like better quality images, and updated lesson topics but overall, I know this will benefit many children and adults with Autism that are preparing to access their community. Be sure to enter the giveaway on the Touch Autism Facebook page and purchase Everyday Skills today! Everyday Skills is an app for adults and individuals with special needs including Autism that teaches everyday skills through simple picture lessons.